How do you decide who to invite and who you can cut? We asked the experts. It’s not always that simple, though. What if a couple has a herd (or two) of first cousins, but can’t afford to fit them all in, is it OK to invite one and not the other? Should their kids be on the list? Johnson says that when couples need to get selective, “they must feel comfortable and prepared to have conversations with family members or friends who may not have been invited.” It’s pretty universal knowledge that it’s hard to finance a large wedding nowadays; most people should be understanding of that, especially if the couple goes out of their way to be upfront and genuine. Johnson says she has seen her fair share of couples who make things more awkward and uncomfortable by ignoring the elephant in the room or making cover stories – don’t do that! And when it comes to kids, Johnson says the simplest thing to do is declare your wedding to be kid-friendly or kid-free. Anything in-between gets complicated. 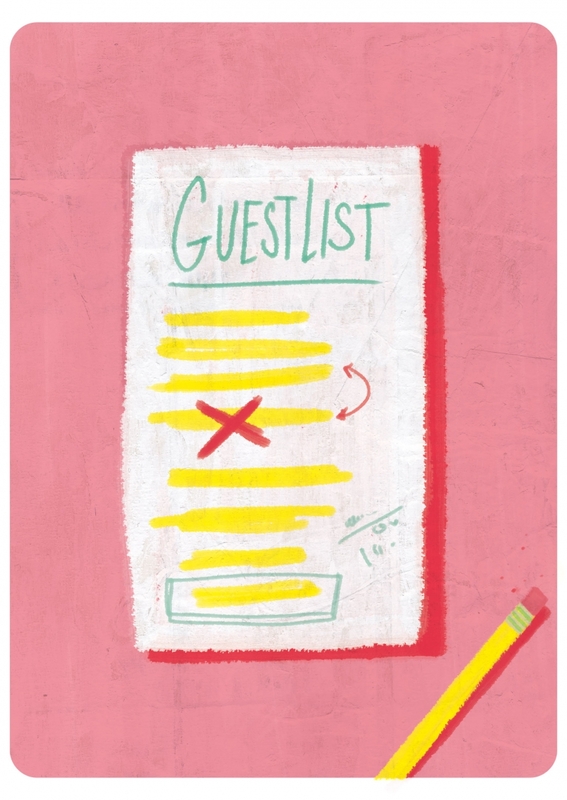 If there is a name on the guest list due to a guilty feeling, cut. If you can’t remember the last time you chatted with someone, cut. If they’ve played an important or influential role in your life, keep. If you wine and dine with them, keep. If they are your biggest supporters both now and in the future, keep. This article appears in the January 2017 issue of Avenue Edmonton. Subscribe here.